The intoxicating aroma of chocolate filled the air at the 2018 Oregon Chocolate Festival in Ashland. 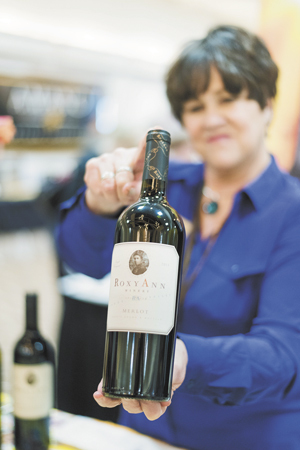 Thousands enjoyed tastings, pairings, cooking demonstrations, competitions, sensory skill training and more at the annual celebration. 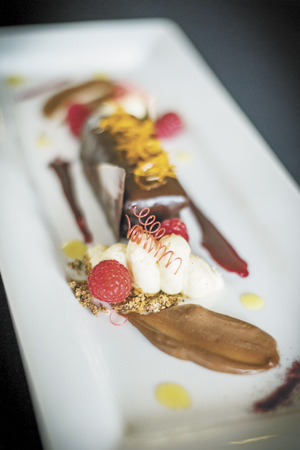 The weekend began with the Chocolate Maker’s Wine Dinner at the elegant Ashland Springs Hotel. Diners filled every seat in eager anticipation for the experience to start. Each of the four courses, prepared by Executive Chef Franco Console, showcased a savory or sweet culinary creation matched with a local wine. The first, blackened ahi tuna plated on Mexican chocolate chili paint with fennel seed and star anise, shined on the table, especially with Brandborg’s Gewürztraminer, an aromatic white with notes of lychee and rose, and a subtle savory finish. Winemaker Scott Steingraber presented Kriselle Cellars Sangiovese for the second course. The jammy-flavored wine accentuated the earthy essence of liverwurst made with wild black trumpet mushrooms and beautifully set off the sweet-tart dichotomy of the huckleberry cocoa nib mustard. The following plate showcased maple molasses cocoa-lacquered duck leg confit, anise orange grits and cider-braised cabbage paired with Weisinger Family’s award-winning Malbec. The wine elevated the bright, bold flavors of the complex dish. And for dessert? A flourless dark chocolate torte, chocolate cardamom sorbet, chocolate soil and white chocolate pear crème anglaise. The presentation was spectacular by itself and tasted even more impressive with a sip of RoxyAnn’s Port-style red. 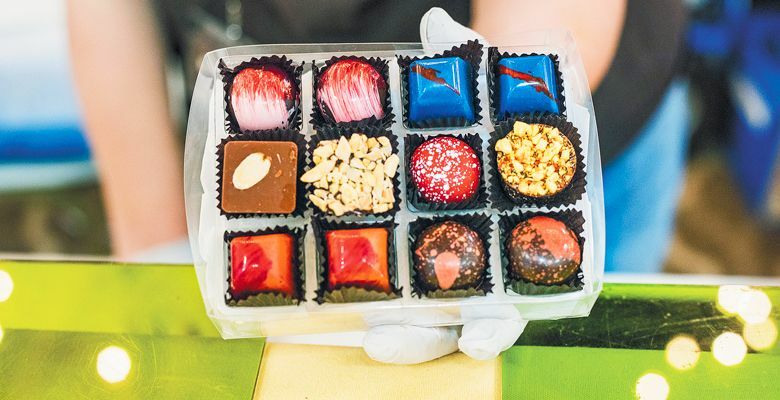 Saturday and Sunday attracted dozens of artisan chocolatiers, chocolate-themed products and wineries to the Ashland Hills Hotel & Suites ballroom. The event involved the whole family with Charlie’s Chocolate 5K Run (or walk), a kids’ chocolate dash, face painting and many treats to sample — some for the young, all for the adults — such as Holm Made Hazelnut Hill Toffee, Standing Stone Brewing Company Chocolate Milk and Honey Ale, Fera’wyn Artisan Bon Bons, Simply Bee Chocolate- and Lavender-infused Honey and many others — more than 40 different vendors offering numerous tastings to enjoy. 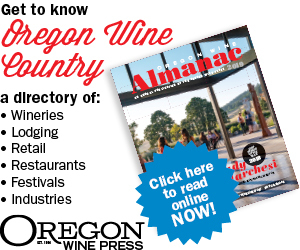 Seven Southern Oregon wineries poured at the festival, among them EdenVale, Paschal, Platt Anderson, RoxyAnn, Wild Wines, Belle Fiore and Awen. Jennifer Barkley of EdenVale offered guests two extended-age wines: 2006 Syrah and 2009 Heritage Red. “They’re tasting white chocolate, dark chocolate, chocolate with chili — so these will go well because you’ve got all the little chocolate notes in the darker reds,” Barkley explained. Harry & David’s legendary chocolatier, Charlie Douglass, “flew” tasters around the equator in a remarkable tasting of some of the rarest chocolates in the world. Beer maven Ginger Johnson psyched up a big crowd with jumping jacks, waves and high fives before guiding a hundred participants through tastes of chocolates paired with tea, saké and beer. Judges for the chocolate product and dessert competitions , Chef Stephen Durfee of the Culinary Institute of America, Chef Darrell Folck and blogger Marlynn Schotland, used their fine-tuned, chocolate-focused palates to evaluate the entries. Terra Sharp, pastry chef at Larks Restaurant in Ashland, brought home first place in the dessert competition with a spectacularly designed confection of dense chocolate cake, ganache and candied pear.